Seeing as Blastcult, founded by Orange County bass maker Jason Burns, specializes in hand-built upright basses, perhaps it'll come as little surprise that this Blastcult FIF T SIX guitar has a distinct Rockabilly flavour. It has a chambered sugar pine body with nitro cell pearloid binding. The fretboard is of gaboon ebony and the guitar has a scalelength of 25.5". 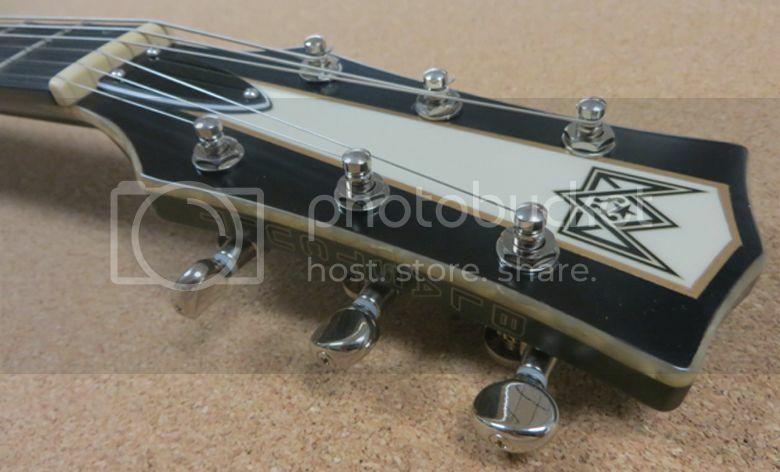 Hardware includes Hipshot locking tuners, TV Jones pickups and USA Bigsby tailpiece. 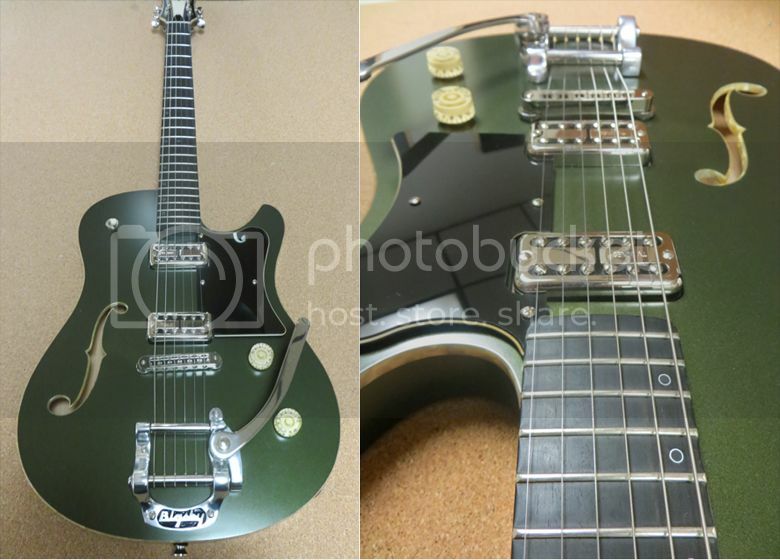 This guitar is listed on Vintage & Rare and is priced at $3,250.